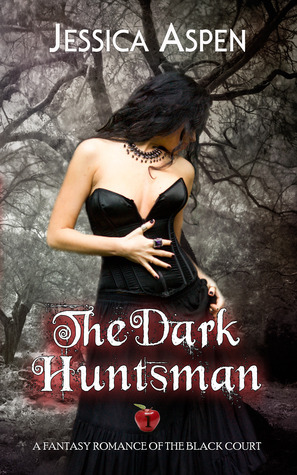 I’m giving away ten PRINT copies of The Dark Huntsman, my spicy, fairytale romance, to Goodreads Readers. Enter below to win! This is my very first Goodreads giveaway, so I hope to see some new readers and some great reviews of the book. Already I have people lining up to request books, so sign up. I do know real people who have won real books. This time, one might be you! Today I’m revealing the last tender morsel of chapter one. You can find bite one HERE, bite two HERE, and bite three HERE. And after that, if you want more of The Dark Huntsman Subscribe to my new release only mailing list and you’ll be the first to know when it hits the shelves. The virtual shelves of Amazon and Kindle Select, that is. Unless you are here in Colorado where I’ll be ordering copies into my local book small book store, The Book Cellar, in Louisville. So thanks for coming by today to read my last snippet and click the link below to hop over to Goodreads and enter to win The Dark Huntsman. The Dark Huntsman, excerpt number four. Trina looked up the valley. The dying light made it impossible for her to see much more than the silhouette of a horse and rider barrel through the boulders and uneven terrain, tearing down the rocky hillside at an impossible speed. But no barrel racer would endanger their mount careening down the mountain in a thunder storm. Or ride a horse the color of the absence of light, with freakish red eyes. Only something truly inhuman would light up her inner sight with that particular eerie blue glow. The acid in her stomach rose into her throat. She swallowed the acid down. Her trap, her best effort, all her hard work. Dumb. Stupid. Pathetic. None of it would hold an elven lord, a full adult fae whose power would make her trap look like an art project. She wished she could hide the evidence, like a small child wiping up the crumbs of stolen cookies. Horse and rider skidded and slowed in a shower of ricocheting rocks. The enormous hounds flowed out surrounding the labyrinth. The cloaked rider and his dark mount advanced. She held still, athame at the ready in her sweaty hands, prepared to bolt if she had the chance. Her eyes flicked from the approaching rider, distracted by the lesser threat of the huge, sharp-toothed, and yellow-eyed hounds encircling the labyrinth. Silent sharks waiting for the command to take their prey. “Damn shame to kill you, witch.” His voice was smooth, well-aged whiskey with a hint of brogue. Trina tried to keep her face even and not reveal her panic, or sudden fear and loss of confidence. She had nothing he could want. Anything of true power, that a fae like this one might consider valuable, was safely out of reach and driving down the road in the van. Gone. Along with any reinforcements. “How about honesty?” She offered in desperation. The nervous sweat on her back grew cold. The dark presence leaned forward, his impatient mount’s feet shifting on the gravel. The lord’s level tone distracted her, and she was unprepared when the horse moved. The pair crashed effortlessly into the labyrinth, cutting a destroying swath across the short, brushy, sage and heading for her at the center. The wards failed. Spectacular violent explosions burst into cascades of colored lights, as if they were merely firecrackers, instead of huge magical grenades. The overwhelming smell of crushed sage rose, and she swore the evil-eyed horse laughed. She reached inside for what was left of her power, losing her grip on it when he leaned over and grabbed her arm. With no apparent effort, he hoisted her up. She scrabbled for a handhold in an effort to not fly over the horse into the waiting sea of teeth and dogs. She tangled one hand in the long black mane and held tight to her slippery knife with the other. Strong arms wrapped in leather tightened around her, forced her upright, her toes dangling sidesaddle. Everything happening too fast. She barely had a grip in the long black mane when the creature flexed under her and they flew over the candles. They landed on the other side of the labyrinth in a hard jolt. She slipped. If I fall, I could run. Before the thought had been and gone, her grip on the mane loosened. She slid to the side. Hot breath and the scrape of teeth on her ankle warned her, just in time. She yanked her foot out of range of the snapping jaws, and lost her precarious balance. Making an instinctive grab for the mane with her right hand, she dropped the knife. Her kidnapper growled and tightened his grip on her stomach and she gasped for her voice. “I’m afraid it’s too late for that. I either kill you or take you with me.” The sparkling black blade of his laughter cut deep into her soul. Accelerating faster and faster, they wove in and out of the treacherous rocks in a mad, blurring rush up the side of the valley. If she fell off now and hit a rock, she’d be road-kill. She anchored both hands firmly in the mane and leaned back into the solid chest of her attacker. They raced on, licks of green fire lighting up the hill behind them. A deep maw of black within purple mist formed ahead, transforming the familiar landscape into a horror. The knowledge of where they headed slammed inside her brain. Trina’s heart sped into a sharp staccato. Words of denial formed in her constricted throat, gone long before she had a chance to know what they were. They rocketed to the top of the valley, the piranha hounds schooling tightly around them as they raced to the looming mouth of the portal. Steely muscles bunched and flexed under her. Launching into the air, they flew into the mix of fog and darkness encased in the sound of her scream. That’s it, that’s the end of chapter one. Leave a comment and let me know how you liked it then put The Dark Huntsman on your Goodreads TBR shelf HERE, Subscribe to my new release only mailing list to find out when The Dark Huntsman is released, and then get ready for the book. It should be out in October, and of course I’ll be announcing it here and on Twitter and Facebook. How could I resist trumpeting it to the skies?